Call for international applications from creators who wish to take up residency to perform research work in 2015. We encourage applications for a wide range of projects from a diversity of visual artists, musicians, composers, directors, choreographers, and performers of different cultural and geographic backgrounds. We are open to proposals for all phases of a project, from initial concept to full production. Nau Côclea residence program intends to enable the artist to encounter the ideal conditions of space, concentration, technical and artistic support and facilities for his or her research. The research residency offers a workspace, housing, and may include coaching, information or feedback from staff, curators, other resident artists and the Nau Côclea community. 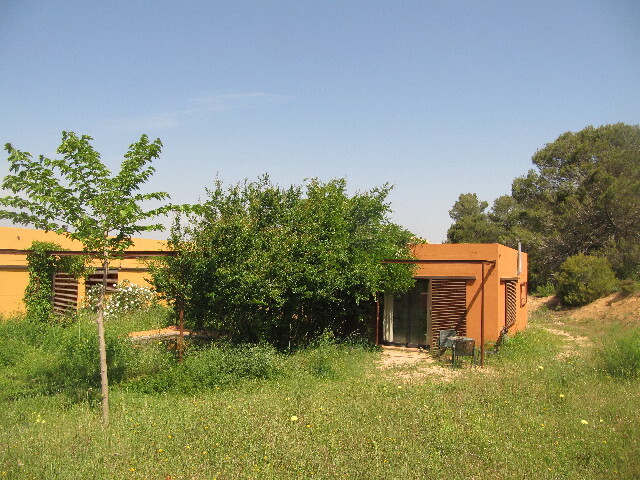 Residencies include accommodation for artists (maximum 4) in a small independent house situated in a rural area. The house has two double bedrooms, a small kitchen, a bathroom and a living room with a firewood stove in a country background. Residents can also use the common office/library of the centre and the workshop/rehearsal room (80 sq.m. Depending on the time of the year). The minimum residence time is 7 days and the maximum 90 days. Nau Côclea technical resources ( sound equipment, video projector, etc.) may be used. Nau Côclea staff will help artists to make the necessary contacts with the local suppliers of materials and services associated with their research. – Dates for which the residency is requested (with alternative options if there are). – The spaces required ( work room,outside gardens). – A letter in which the artist explicitly agrees, if he or she is chosen, to perform the residency in the dates and under the terms and conditions established in this rules. – A description of the project (maximum 3 pages with maximum 3 photos, JPG format and www references: website, blogs, youtube, vimeo, myspace…). – A short CV (maximum 1 sheet). Projects sent by postal mail will not be accepted. Independent curators and professionals together with director of Bòlit Centre d’Art Contemporani de Girona and the Nau Côclea team will compose the jury of the creation standard residencies. Resolution will be announced during the first week of march. The result will be communicated by e-mail to the participants and will be published on the Nau Côclea website too. The fact of applying means the acceptation of the rules.